THE Court of Appeal has laid down stringent guidelines on sentencing burglars in the wake of a series of high-profile cases, often involving threats or violence against the homeowner. The move came on a day when four notorious burglars saw their sentences significantly increased by the court. Two men had their jail terms almost doubled, after the court decided their original sentences were too lenient, following a “fatal burglary” where a 62-year-old collapsed and died. 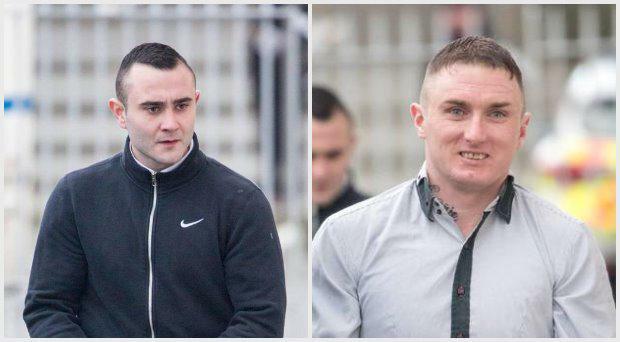 Cousins Michael Casey (34), of Clonlong Halting Site, Southill, Co Limerick, and David Casey (23), of Carragh Park, Belcamp, Dublin 17, had pleaded guilty to a series of burglaries, including one at the home of John O’Donoghue, at Toomaline, Doon, Co Limerick, on August 27, 2015. Mr O’Donoghue, who had heart problems, collapsed and died as he was about to confront the intruders. They ran away without offering help. Judge Tom O’Donnell sentenced both men at Limerick Circuit Criminal Court to four-and-a-half years’ imprisonment with the final year suspended on December 15, 2016. The Court of Appeal found the men’s sentences to be “unduly lenient” and they were both re-sentenced yesterday to seven years with the final eight months suspended. Counsel for the DPP, Thomas O’Malley BL, said the Caseys had gone on a burglary “spree”. Michael Casey had 44 previous convictions including one for robbery. David Casey had 14 previous convictions. He was on bail at the time of the spree in respect of a burglary in Galway. It follows the DPP asking the Court of Appeal to set guidelines or sentencing parameters for burglary in Ireland. It submitted a number of factors that would put a burglary into a more serious ‘mid range’ category. These included planning and premeditation; two or more participants acting together; the targeting of residential properties, especially in rural areas; the targeting of residential property because the occupant was known to be vulnerable on account of age, disability or some other factor; and the taking of property which had a high monetary value or high sentimental value. The DPP also identified factors that would tend to place a burglary in the most serious category. These were ransacking of a dwelling; entering during the night a dwelling known to be occupied especially if the occupant is alone; the use or threat of violence; and causing significant injury or trauma. To that list Mr Justice George Birmingham said the Court of Appeal would add the presence of relevant previous convictions as an aggravating factor. Evidence that an intruder was equipped with a weapon while in the dwelling, rather than bringing one in, would also be a serious aggravating factor, the judge said. In a separate case the Court of Appeal increased a burglar’s three-month prison sentence to two-and-a-half years with nine month suspended. Richard Evans (34), of Conyngham Road, Dublin 8, had 127 previous convictions, including 17 for burglary, when he was jailed for burglary of a domestic dwelling at Coke Lane in the capital on February 18, 2015. Another 21-year-old burglar, with 64 previous convictions, had his prison sentence doubled. Leon Byrne, with a last address at Lourdes Road, Maryland, Dublin 8, had been sentenced to a net three-and-a-half year jail term on July 17, 2017. He was re-sentenced to seven years’ imprisonment with the final two suspended.